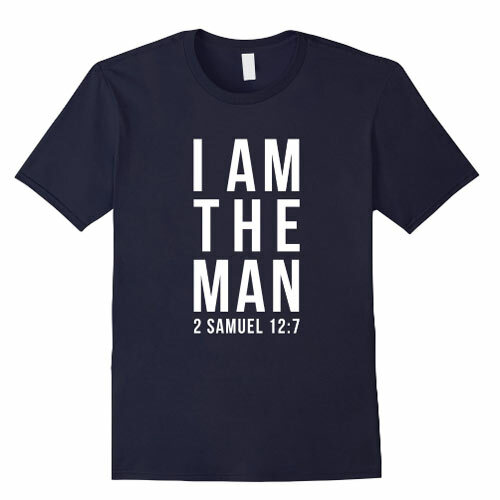 For the budding theologian and Bible scholar to the tried and tested veteran pastor, niche theology t-shirts just might be one of your better gift ideas. 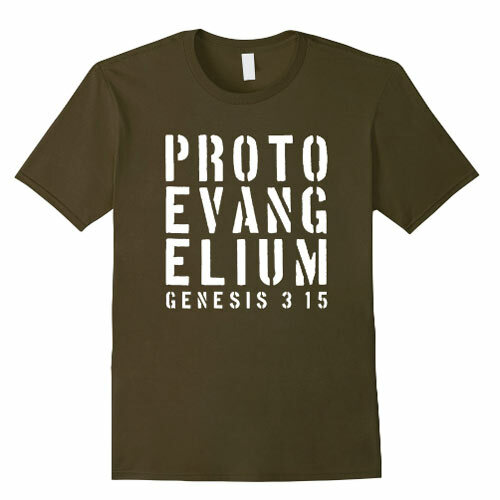 Christian theologians refer to Genesis 3:15 as the “protoevangelium,” which is a Greek word for “first gospel” (proto=first, evangelium=evangel or gospel). These words from Genesis 3:15 are spoken by God and contain the first promise of redemption in the Scriptures. 3. 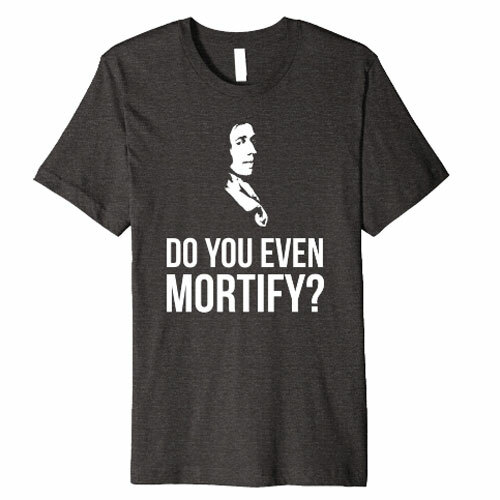 DO YOU EVEN MORTIFY? John Owen is famous in part for his work on The Mortification of Sin. It’s a good question, pertinent to any believer: Do you mortify your sin? 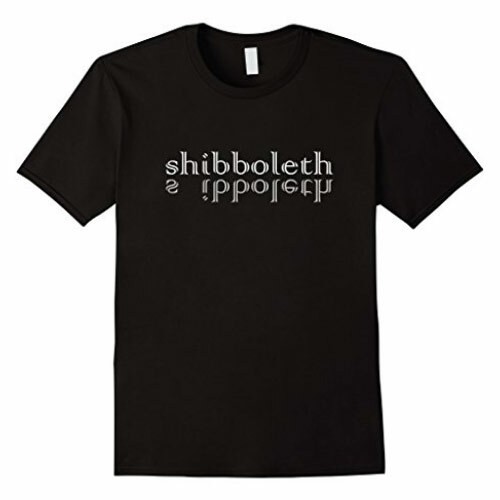 Did you say shibboleth? Or sibboleth? This is a quick and easy way to tell a believer from a heathen, btw. Homoousios or Homoiousios? The difference means everything. 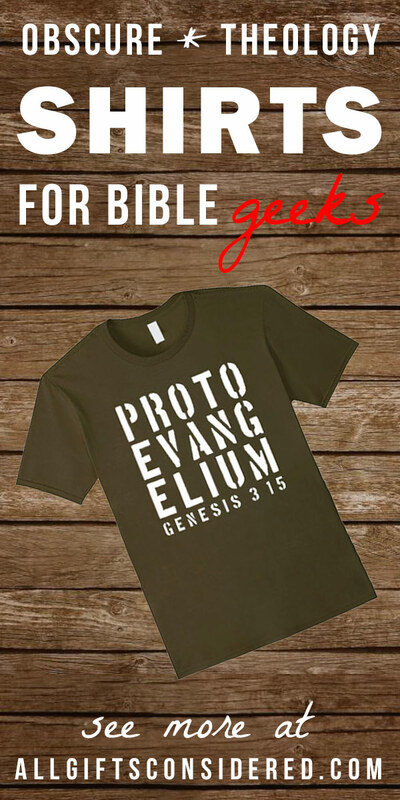 This is the perfect t-shirt for a Christian history teacher, or a church history buff. 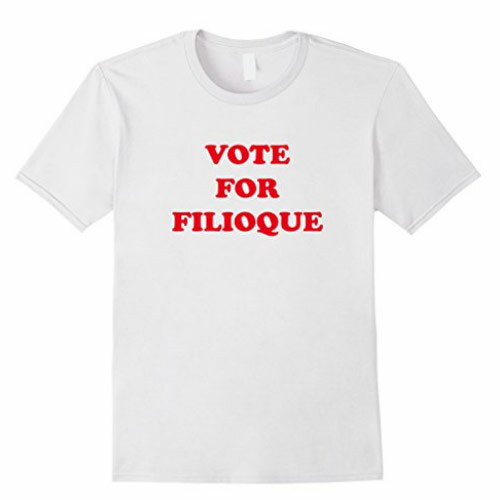 So there was this time when Christians from the East and Christians from the West were talking, and some we like “We vote for the filioque clause!” and others were all, “Nay! Leave the creed!” Then there was this whole East/West split that pretty much affected the entire history of, like, civilization. No big deal. Classis & Consistory vs Presbytery & Session. Which is greater? Your answer will no doubt depend on which denomination you belong to. If you think the Presbytery & Session is the superior choice, you’ll want to check out the next shirt on our list. OK fine, here ya go. We’ll throw the Presbyterians a bone. The cosmological argument has to do with first or ultimate causes. Your first cause was your mom; your mom’s first cause was her mom, right on back to Eve and, ultimately, God the Creator. Sooooo….. your mom is the cosmological argument. Boom, mic drop.